Gard 24 disc heavy duty disc harrow , V-type hydraulic lift axle. Fenet 24Disc disc harrow, very nice and good condition, V-type with hydraulic lift axle. GARD 28disc, 28 disc , heavy duty disc harrow, V type with hydraulic lift axle. 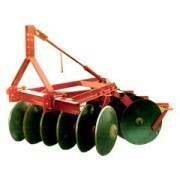 Quivogne 24Disc Heavy duty disc harrow , V-type with hydraulic lift axle. 4.5M seeder and harrow combination.